The Frugal Family Life: Snow Ice Cream Recipe PLUS Low Carb, Sugar Free Snow Ice Cream Recipe! 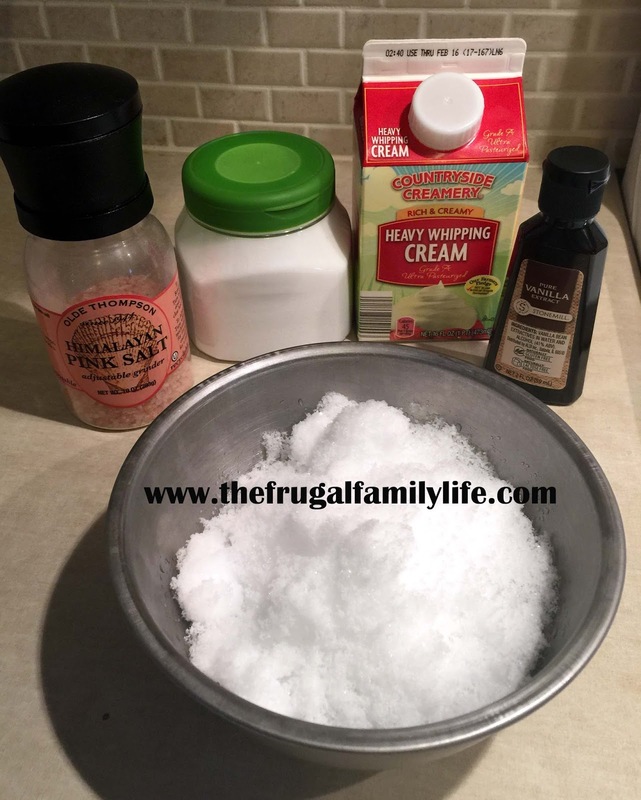 Snow Ice Cream Recipe PLUS Low Carb, Sugar Free Snow Ice Cream Recipe! My girls were begging me today to go outside and play in the snow--we don't get it often here in Oklahoma, you know! And then, their dad's office closed at 1pm and he got home early! It seemed like the perfect time to take advantage to go play in the snow as a family! They ran around, threw snowballs, tried to build a snowman...and we all got a little cold. My oldest daughter, with motive behind her question, I'm sure, said to me: "Mom, you remember that time you made snow ice cream? It was really good!" So, what better afternoon snack is there than snow ice cream on a snow day? We gathered up some snow in a couple of bowls and ran inside to our warm house! 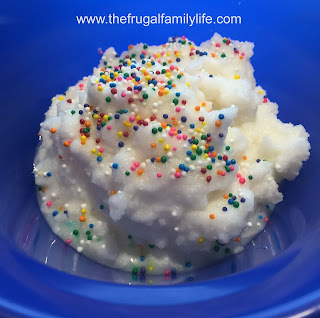 I made the regular version of snow ice cream for my husband and girls, and I really wanted to have some myself, but since I'm trying to eat healthy I had to get creative. I decided to make a healthier version! I made a low carb, sugar-free, THM-approved snow ice cream and it was DELICIOUS! Directions: Simply mix it all together and stir. Add sprinkles or chocolate chips if desired. Serve immediately because it melts quickly! Directions: Simply mix together and stir. You can adjust liquid or sweetness by taste if desired. Eat immediately because it melts...and because it is soooo good!